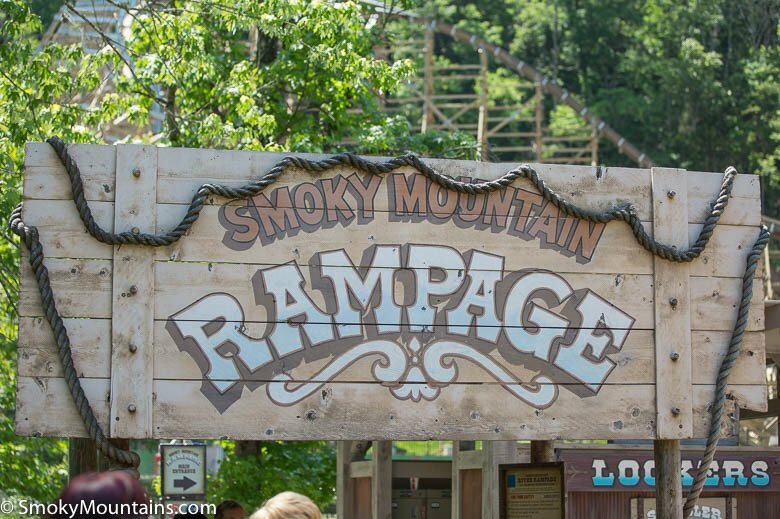 The Smoky Mountain River Rampage is a white water rafting adventure that is guaranteed to soak you and your friends! 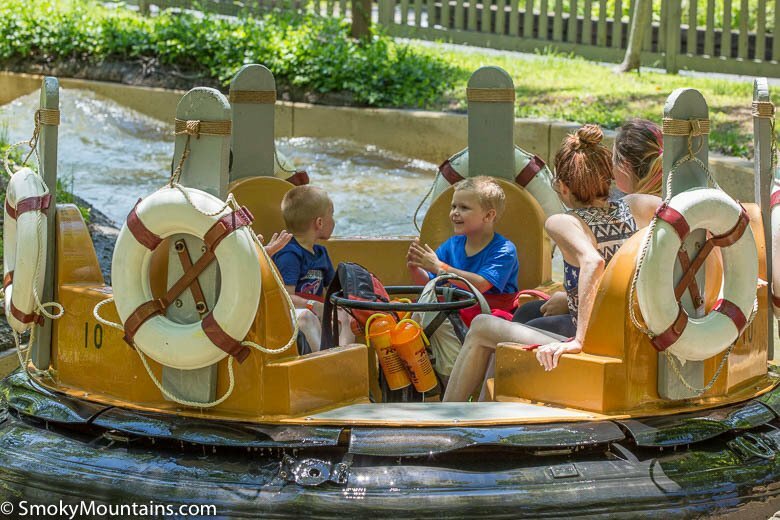 This fun water ride is filled with rapids and screams of joy. 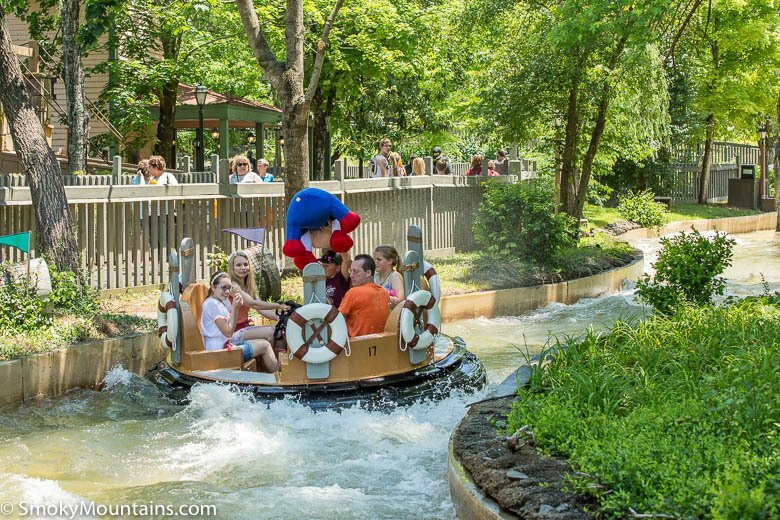 Put on your water shoes and raincoat because you’re about to get wet! 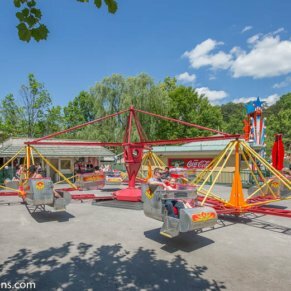 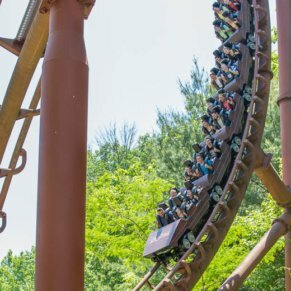 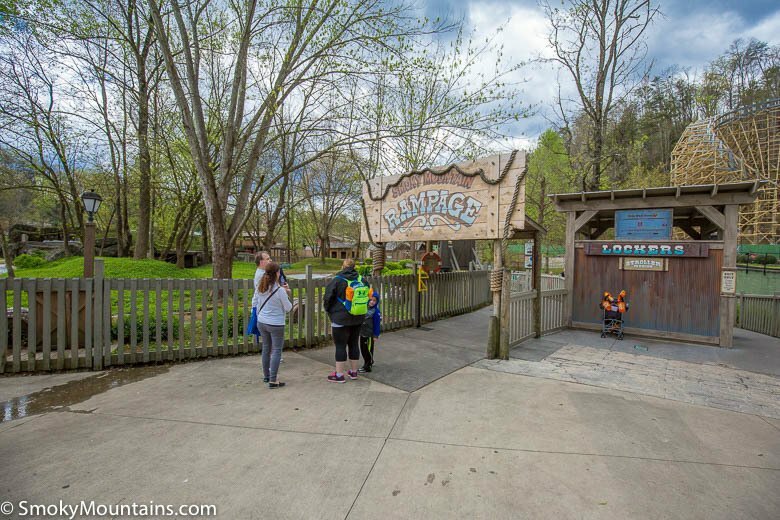 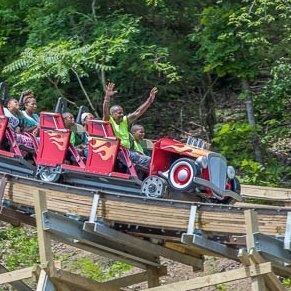 Take the plunge into the cold waters of the Smoky Mountain River Rampage! 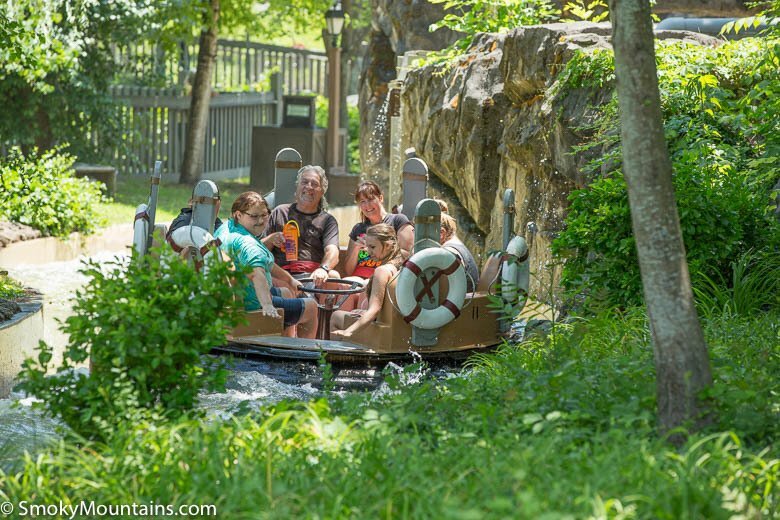 This fast flowing river will have you holding on for dear life as you ride down dips in the stream, go around bends, and even float by some waterfalls! 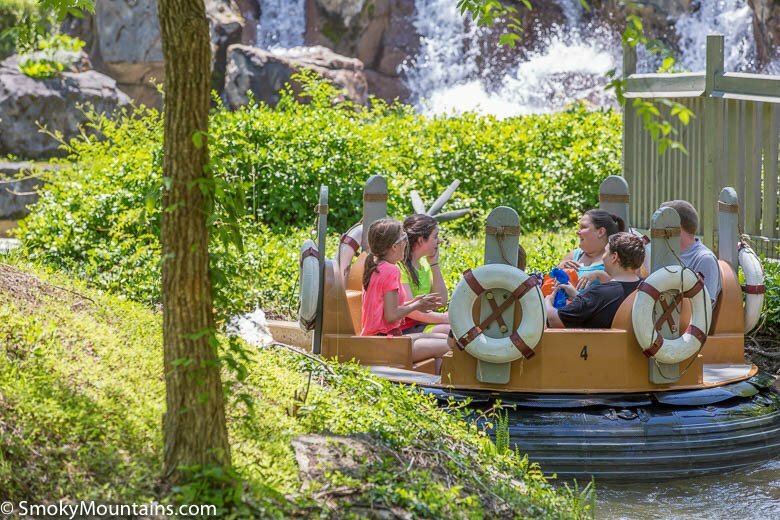 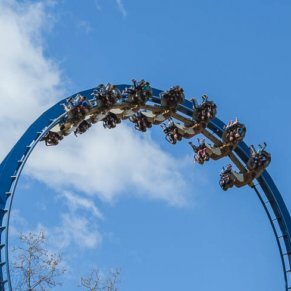 Be ready to cool off in this fast pace raft ride! 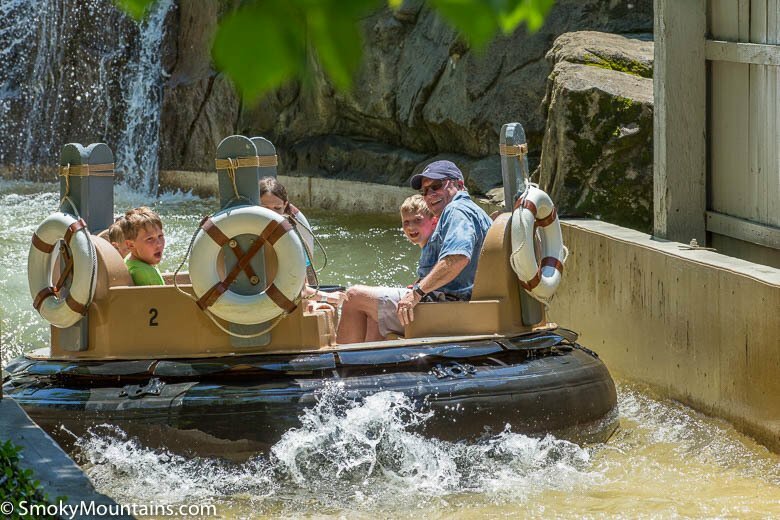 Step in the giant river raft that can hold up to 6 people and prepare for a wild ride! 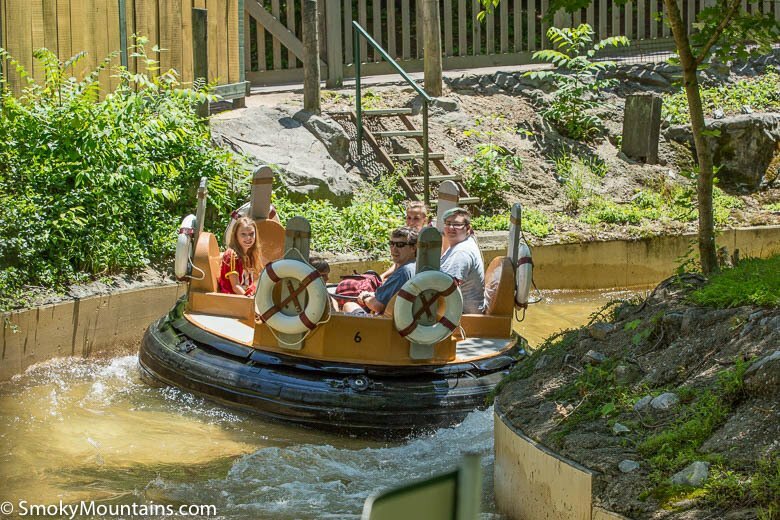 You’ll get wet right away as the water from the last trip is still hanging out in your seat. 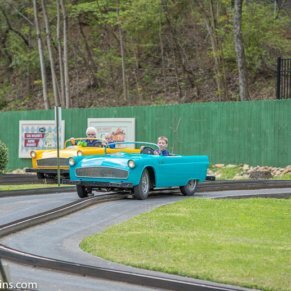 If that’s not a warning for what lies ahead, I don’t know what is. 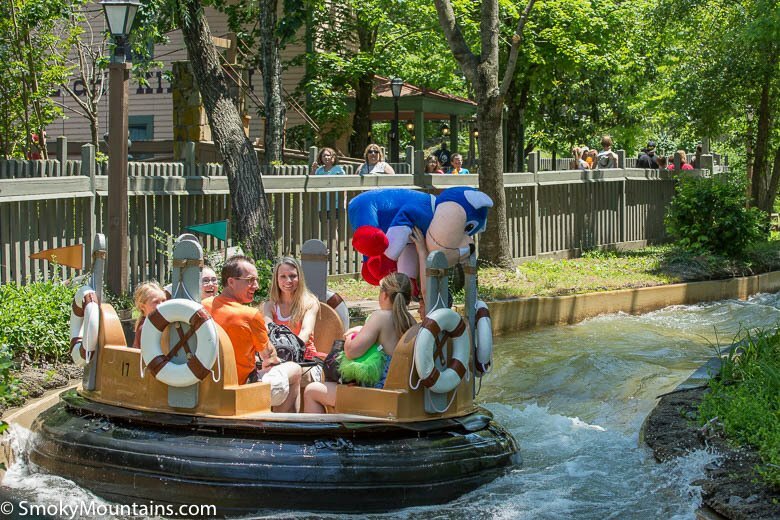 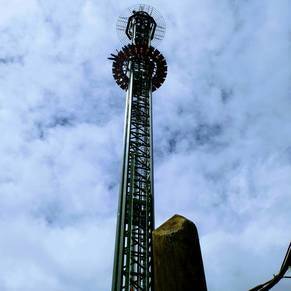 You’ll be sent up a hill to get your ride started, and you’ll be making quite the splashdown on the other side! 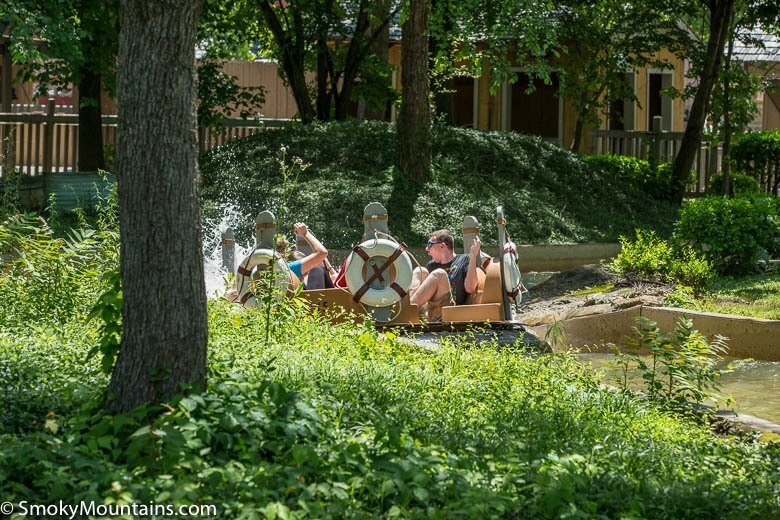 It’s all rapids from there as you quickly float your way through the rushing river. 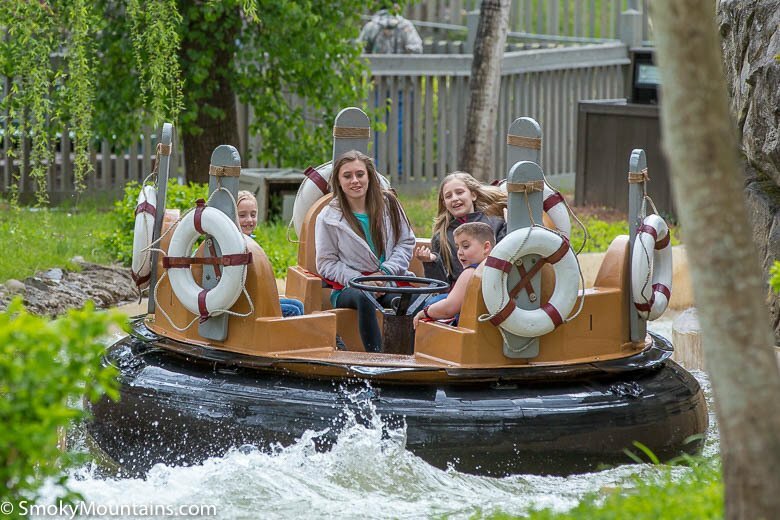 Your raft will be dipping down into the river and hitting hard against the rapids creating waves of cold water to flow over you. 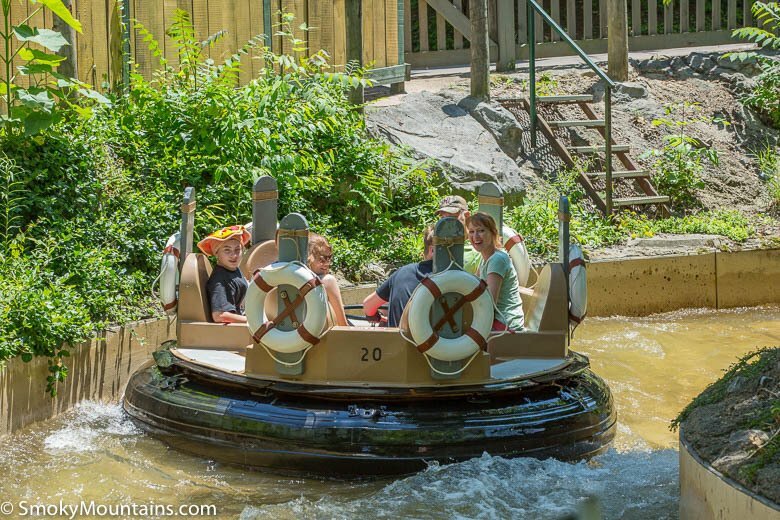 There’s nothing you can do as your completely self-guided raft makes its way down the winding river. 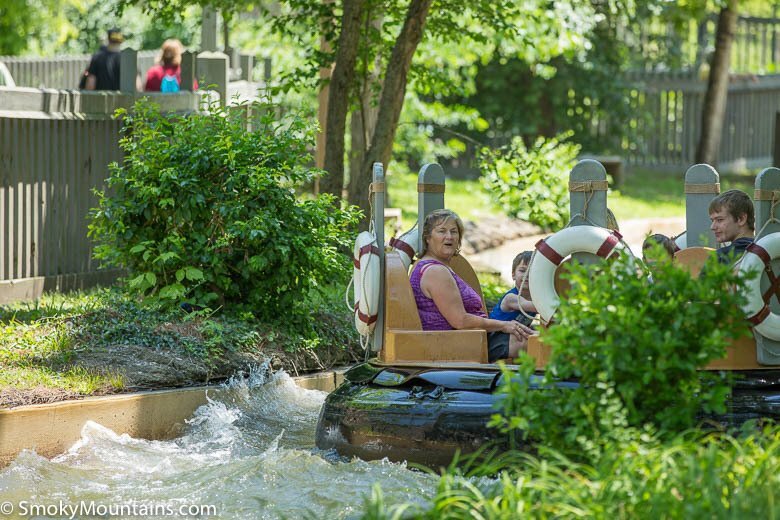 Will you make it to the end, or will you capsize as you rush over currents and dips? 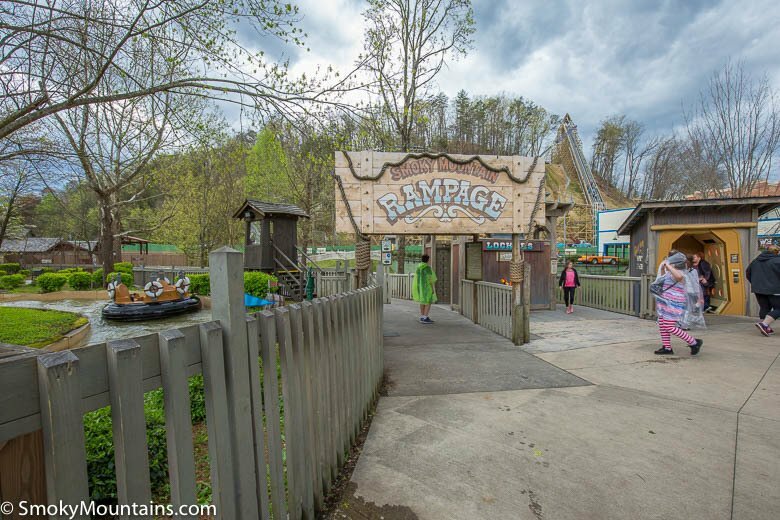 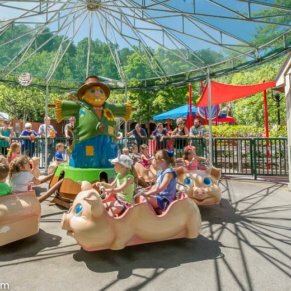 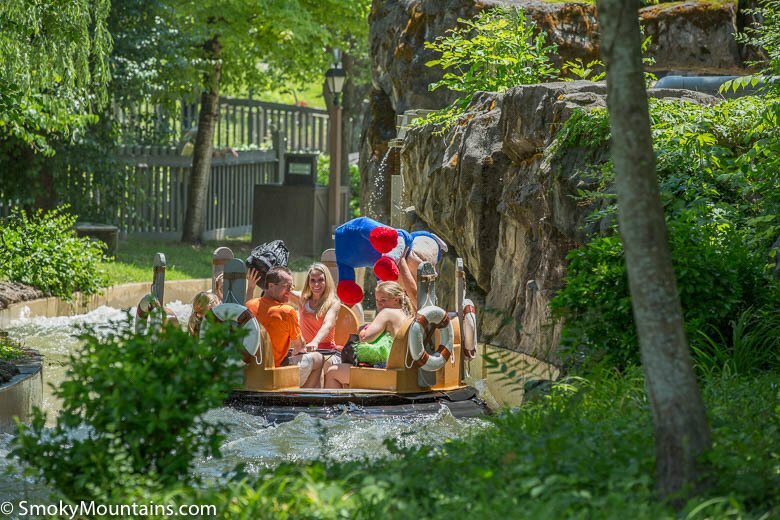 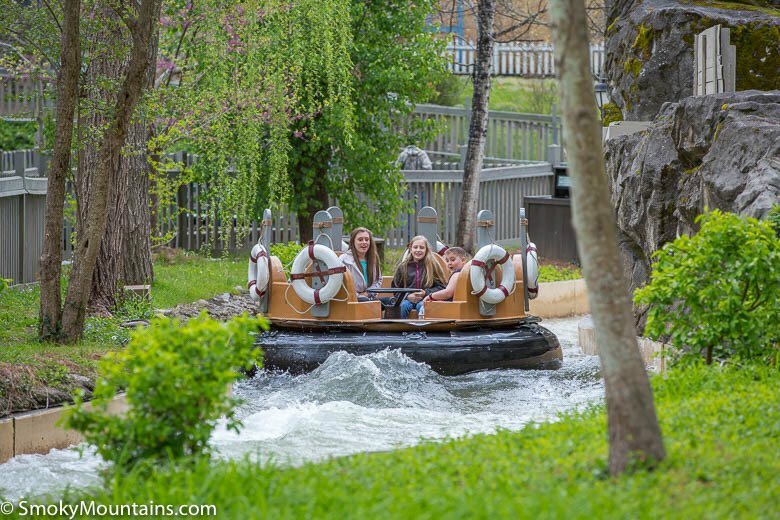 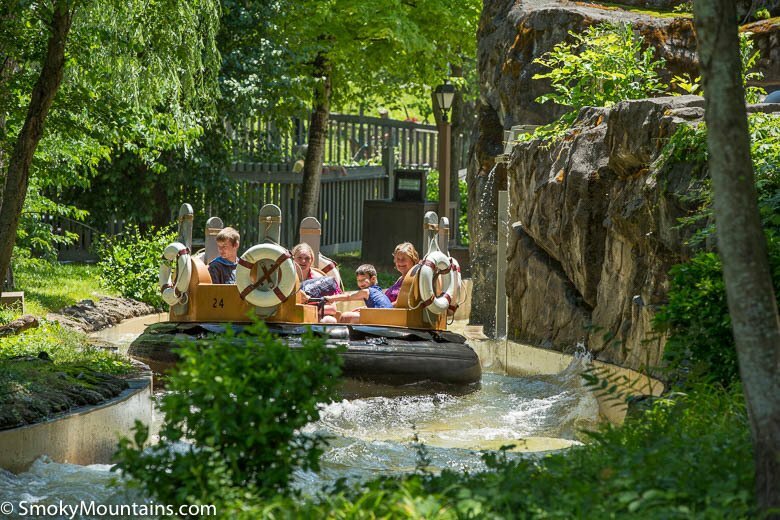 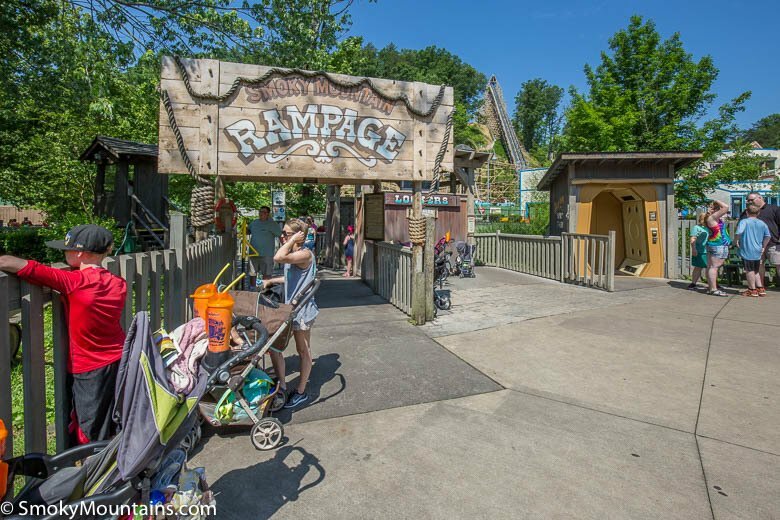 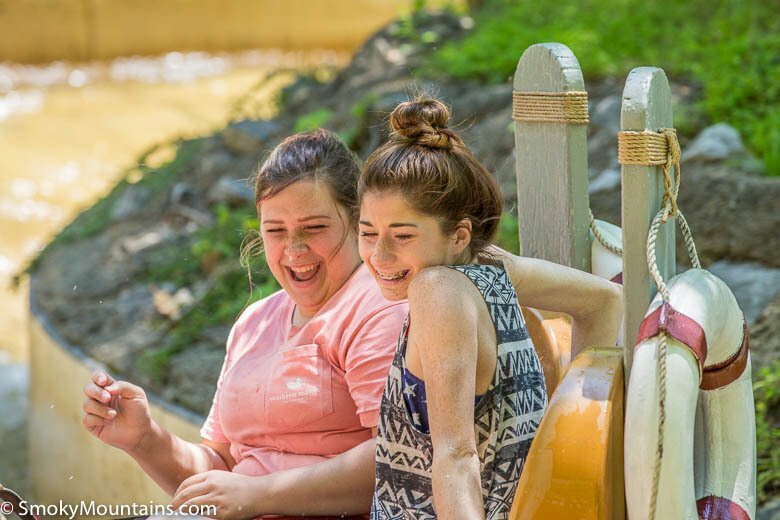 If you’re brave enough to to bear the wet, cold water, hop in a raft and set sail down the Smoky Mountain River Rampage!